As the book delves into her first 15 years as mother to Jin, Antonetta interweaves information about adoption in the United States and around the world. “The people of Oceania,” she writes, “...adopt children and give them to others to raise almost as commonly as they bear them, and they lack a Western attachment to purely genetic ties (‘We don’t think it’s all that important, who your mother is,’ says my friend Tiana, a native Hawaiian).” When a young Jin’s hamster dies, Antonetta recognizes his sadness as a demonstration of the many ways we bring others, including nonhuman others, into our hearts, in a way, adopting them. “We are born adopting. Nobody demonstrates this better than a child, ” she writes. When my son was little, I thought about adoption all the time. Mostly I thought about it in a good way...wondering where he might be like his birth parents, where he took after us, and where he was just himself…. As Jin grew into a teenager, the fact of his adoption came to the surface again. What exactly did he reject, in that pulling away? Was his rejection of me more complete, more shattering, because we shared no DNA? Did he, ultimately, not love me enough, and on top of that, resent me for taking him away from the country of his birth, the one place where he looked like everyone else around him? 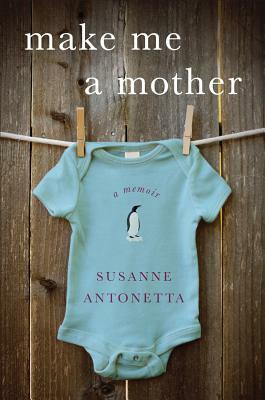 Antonetta beautifully demonstrates through her book that motherhood is a process of becoming, that mothers are shaped by our children just as children are shaped by their mothers, and that it is a process that never ends. She writes, “Jin has made me the mother I am and I have made him the son he is.” Antonetta’s willingness to share details of her difficult past and her own self-doubts as a mother make her a trustworthy narrator, and her inclusive understanding of adoption makes her particular story of formal adoption across continents into a universal story that any reader who has brought others—children, parents, friends—into her heart with intention can relate to.